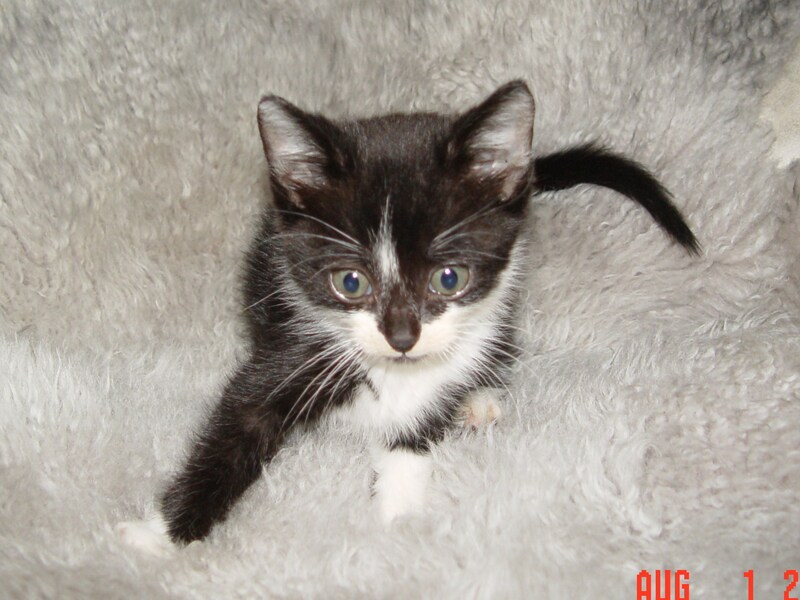 I saw a tiny black and white kitten was running along the curb of a busy street on a drizzly day in July 2004. I caught her and took her home, put her in a large plastic kennel with a litter box, and fed her a good meal. The next day I took her to the vet and she was given a clean bill of health, except for a slight low-grade fever. When we got home, she settled quite happily into her new life. I named her "Spenser." Spenser and I became best friends. She got along well with all my other cats, but especially liked my dog, Riley. Spenser and Riley loved to run all over the house, chasing and playing with each other. When I would walk in the front door after work each night, she would come running to let me know how glad she was to see me. A month after I found Spenser, I was hit head-on in an auto accident. I spent several weeks at home recovering from my injuries and Spenser was my constant companion. 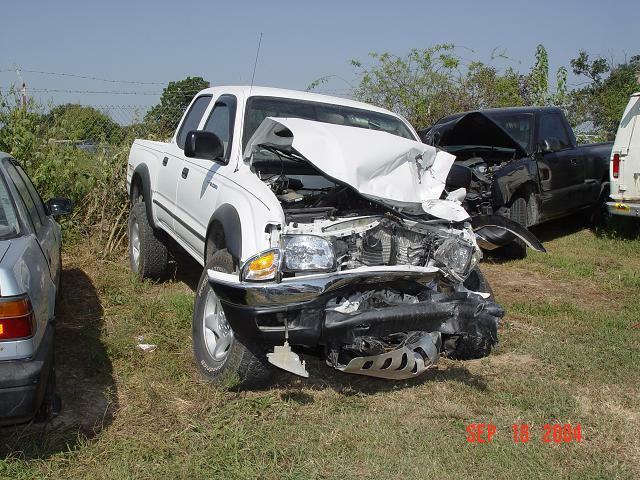 Later, when I saw the damage to my truck at the salvage yard, I felt very fortunate to have survived with just the injuries that I had sustained. By the time I was able to return to work, Spenser started spending more time sleeping and eating very little—odd behavior for a three-month-old kitten. More trips to the vet didn’t reveal anything except that low-grade fever. Towards the end of October, I knew something was terribly wrong, but we still didn’t have any answers. 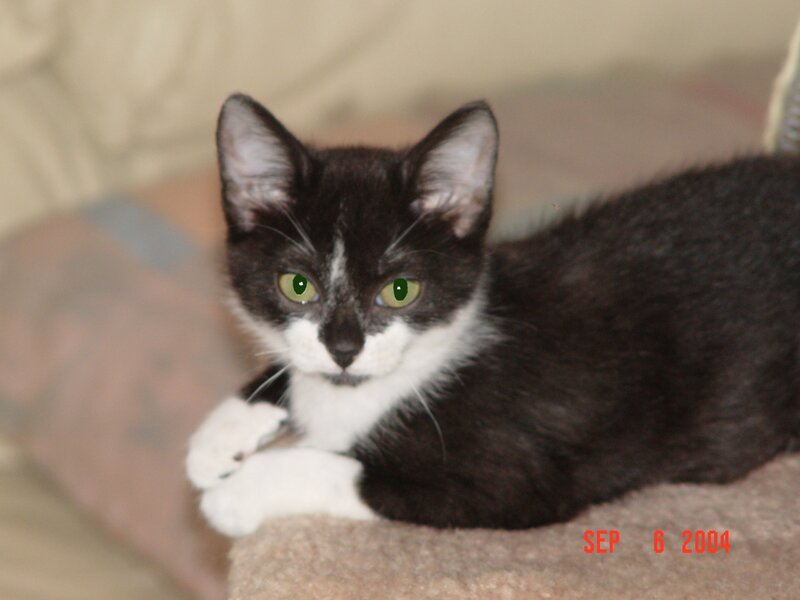 Her black and white coat was still sleek and shiny, her eyes were bright, and she looked healthy—she had no symptoms except a very slightly swollen belly. During the first week of November, I knew Spenser would be leaving me very soon—I could see it in her eyes. I think she knew it, too. Early on a Friday morning, I spent my last moments with her letting her know how much she had meant to me—time that had been much too short—then she quietly slipped away. I was so heartbroken I could hardly breathe. Spenser was only four months old. I’m not sure why Spenser’s death affected me so profoundly—perhaps it was because of the accident that I felt my own mortality. She changed my life. 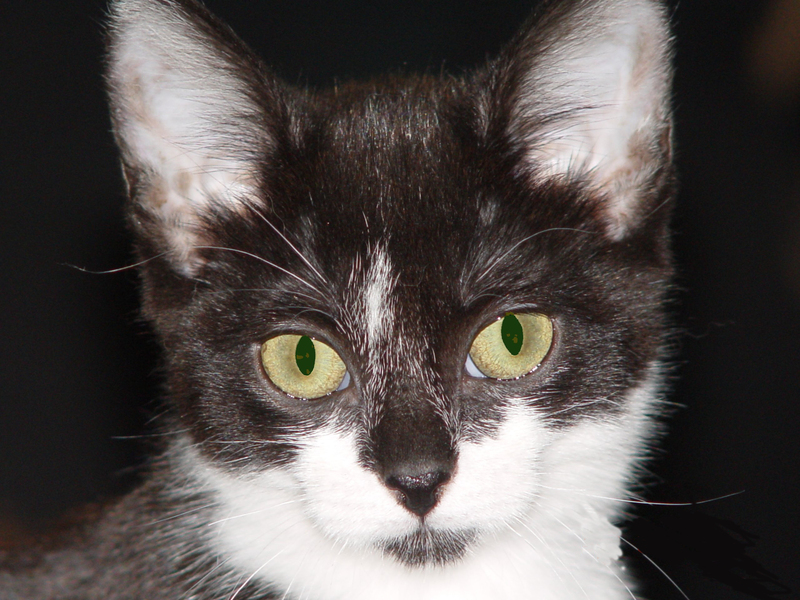 This Animal Rescue is in her honor: Spenser’s Legacy. In 2006 after doing much research, I started Spenser's Legacy Animal Rescue. The following year, I stopped working full time and began attending the University of Arkansas with studies in pre-veterinary medicine. I want to learn as much as I can to help the the animals that I care for. I have put all of my time and resources into Spenser's Legacy Animal Rescue to make it what it is today. We are still in need of more room for the animals, especially the cats, dogs, and rabbits, and we are desperate to build a bathroom facility onto the main "Feline Facility" so that we have a needed source of water. As with any non-profit charity, we receive absolutely no funding whatsoever from any government agencies. We are dependent on the generous donations of you, the public. If you believe what we are doing is valuable, kindly make a donation.